Not the best photo… but the video was even worse…. 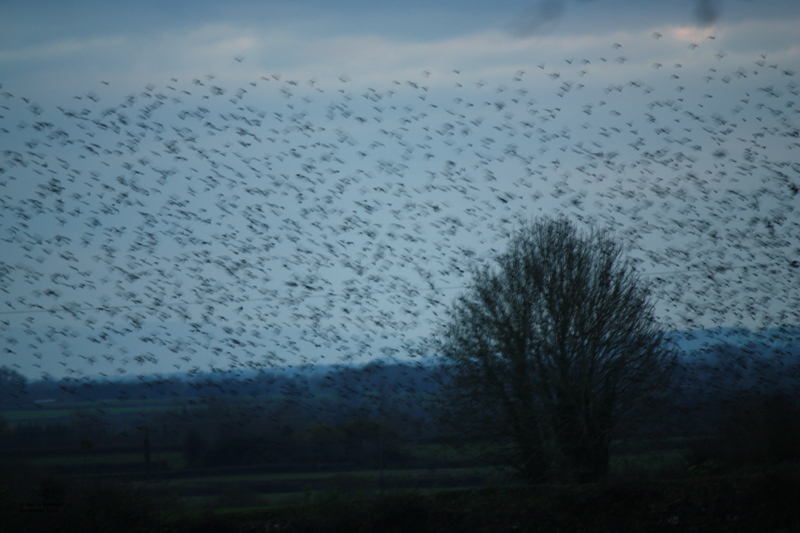 there were thousands of birds in this particular murmuration, right over the house. Wow the noise must have been horrific. The birdsong was what drew me outside in the first place! And the whoosh of the wings was something else! Nice to watch though. Must try to get a video of it over the weekend. I have only witnessed smaller events here in Ireland but it is an amazing sight and you would wonder how they don’t crash into each other. Was just listening to a similar discussion on Derek Mooney’s show this afternoon…. seemingly the fly in groups of 6, and this is how they don’t crash into each other!! !